At Homes Aglow, we are in the business of home staging – the art of professionally preparing a home for sale in order to help achieve the best price in the shortest timeframe. 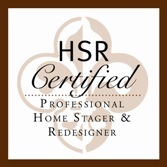 We offer a broad array of home staging services to cover all of our clients’ unique needs. From small condominium, family home, heritage estate to an investment property, we will make sure your property is a step above the rest. Thorough walk through and evaluation of each room in your home (We will discuss with you your home’s best features, as well as trouble spots, and give you simple remedies and work proposal in order of suggested priority. Based on the consultation, you may choose to hire us to do as simple as de-cluttering, organizing and repositioning of the furniture, to working on simple but dramatic changes in the most important areas of the home). To learn more call 330.357.1151 or email homesaglow@gmail.com. Call 330.357.1151 or email homesaglow@gmail.com for information on additional services available.